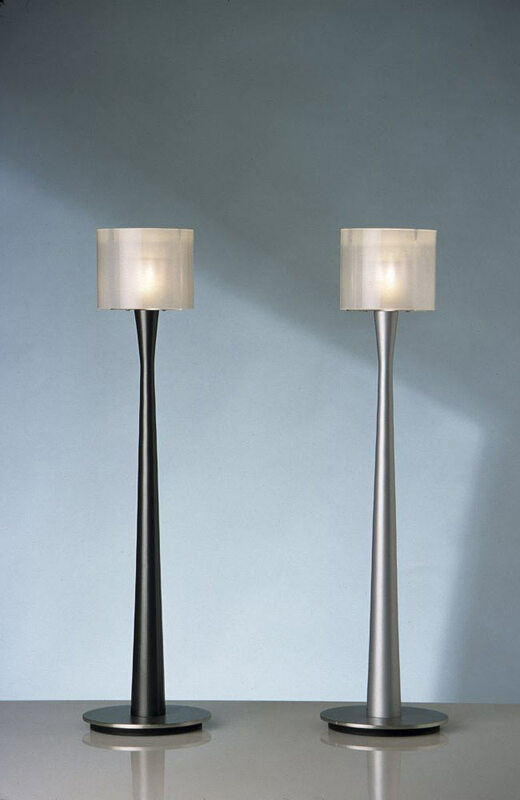 Metallic lacquer finish in charcoal or silver on hand-turned stem. Stainless steel base and interior shade baffle. Sandblasted Pyrex glass shade. Includes one MR-16 halogen bulb. Measures 22" high x 5.75" diameter base x 4.25" diameter shade.